With the 42nd Ryder Cup just a fortnight away, we continue our countdown to the drama of Le Golf National by remembering the first-tee antics from Medinah. 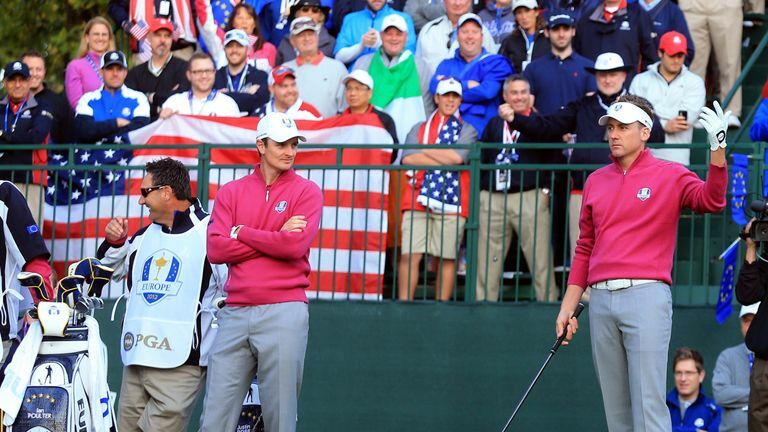 Team USA held a 5-3 lead after the opening day in 2012, leaving the home crowd in a boisterous and vocal mood ahead of the Saturday foursomes. Bubba Watson had egged the spectators on to make as much noise as possible ahead of his opening tee shot on Friday, with Ian Poulter keen for the electric atmosphere to continue during the second day. Ahead of him and Justin Rose kicking off Saturday's action against Watson and Webb Simpson, Poulter goaded the crowd to continue the cheering as he went through his swing routine and played his opening tee shot. Click on the video above to see a golf atmosphere like no other! Watch the 2018 Ryder Cup from September 28-30 live on Sky Sports' dedicated Ryder Cup channel.